She is a one-name legend, a global icon, the ultimate diva. Yet most of what we know about Barbra Joan Streisand is the stuff of caricature: the Brooklyn girl made good, the ugly duckling who blossomed into a modern-day Nefertiti, the political dilettante driving to the barricades in her Rolls-Royce, the Oscar-winning actress and bona fide movie mogul, the greatest female singer who ever lived, a skinflint, a philanthropist, a connoisseur and a barbarian, the woman whose physical characteristics are instantly identifiable around the planet-the tapered nails, those slightly crossed eyes, that nose, the voice. Even to the multitudes around the world who idolize her, Streisand remains aloof, unknowable, tantalizingly beyond reach. Until now. 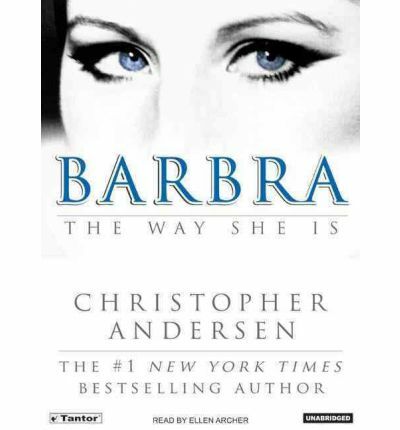 In the manner of his number-one New York Times bestsellers The Day Diana Died and The Day John Died, Christopher Andersen taps into important sources-eyewitnesses to Streisand's remarkable life and career-to paint a startling portrait of the artist...and the woman.Whether you love her, hate her, or are simply spellbound by her titanic talent, Barbra is one thing above all others: a true American original. About the Author: Christopher Andersen is the critically acclaimed author of twenty-six books that have been translated into more than twenty languages worldwide. A former contributing editor of "Time" and senior editor of "People", Andersen has also written hundreds of articles for a wide range of publications, including "Life" magazine, the "New York Times", and "Vanity Fair".